There's a video going around twitter from 20 years ago when the iMac was first unveiled. So I thought it would be fun to say what your first computer was. The first computer in my home was a Commodore 64 that the school let us borrow. My second was an old Mac. The first with an internal hard drive. 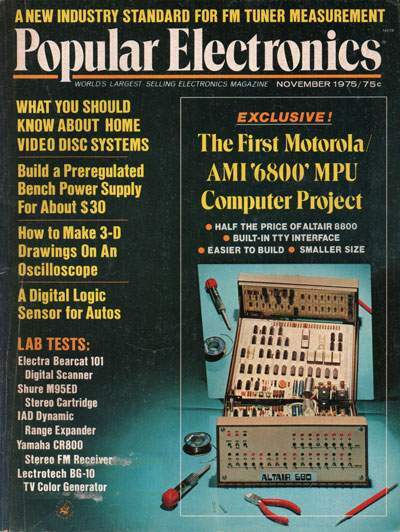 My first in-home computer was a custom-built PC -- I can't remember what the processor was; whatever came just before the Pentium (2nd computer). My first computer was also a Commodore 64. I bought it right after taking a BASIC programming class at my high school, which used Commodore PET computers. A Sharp PC 1211 - a Basic-programmable handheld device with a one line display and 1424 bytes of memory. If that doesn't count, the first desktop machine was an Apple //. Mine was a "piecemeal" PC, built from parts and sold out of a guy's garage. I had a shiny new 386 processor and Windows 3.11. 486 computers were going for about $2000. Can i count the dumb terminal my dad brought home from work, along with a 200 baud modem? I would guess we connected then to a PDP-11, or something from that era. Very first computer which we had at home was Elektronika BK0010-01, but mostly it was used by my dad as I was too young, the one which I consider as actually mine was IBM 55SX with Windows 3.11. Windows were surprisingly stable at that time, I don't think it crashed at least once in about 10 years of time while I had it. Don't know what happened lately. And you couldn't say windows were very primitive, it had word processor, paint program, I had even game Wolfenstein 2D. My first computer was an Intel SDK-80 trainer system with an dumb terminal (which my Dad brought home from work as well). Programs were hand-assembled in machine code and typed-in through the system monitor. Tandy 286 running DOS 5 with Windows 2.0. I want to say 1993 or around then. Clock speed was important back then, and I think the speed was 40 MHZ. Fred: Seems fair to count the terminal. Jeanne Boyarsky wrote: Fred: Seems fair to count the terminal. In that case, a VT52 hooked up to a remote VAX-11/780 by acoustic coupler. P.S. My VT52 wasn't that dusty. Bear: That looks like it belongs in a museum. I can't believe you still have it. Rotary phone included! I bought a TRS-80 back in the 70s hoping to cure my video game addiction. Silly me. When the debugger went straight into Hello World things crystallized and I suddenly knew what I was doing. Jeanne Boyarsky wrote: Bear: That looks like it belongs in a museum. I can't believe you still have it. Rotary phone included! The pictures aren't actually mine. I do have the VT52 up in the attic (too heavy to cart down for a picture). I wish I had had the foresight to also hold onto the coupler and phone. The first computer I used was my dad's 80186, he had a small business. I did some small things on it, but not that much. Then in college studying Chemistry we learned to program on an old VAX system. I was over 20 already, but I liked programming and I did not like working in a Chemistry lab. Although I did find the exact sciences in theory very interesting. I still love protons and electrons and the periodic system of elements. When I switched subjects in college to computer sciences I bought a second hand 286. I used Turbo Pascal 5.5 to program on it. The first small computer I used was an Ohio Scientific that had a 10 meg "Winchester" hard drive that we were trying to get working at the store where I worked in 1981. The first one I owned was a Swan XT-10 with a 20 meg hard drive. Of course, the school where I graduated prior to that had a Univac mainframe. I used to go to school an hour early to play on the TRS-80 that my school had purchased. I don't remember getting very far learning Basic on my own. 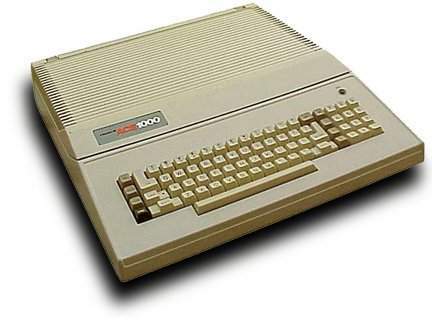 The first computer I purchased was a generic beige box 386-25. Anybody remember endlessly browsing inches-thick issues of Computer Shopper to find that special deal?. Joe Ess wrote: Anybody remember endlessly browsing inches-thick issues of Computer Shopper to find that special deal?. For me, it was getting issue after issue of Popular Electronics, looking for a deal I could hopefully afford (on an extremely limited allowance, and what job I could find to save $$$). Timex Sinclair 1000. Couldn't say where my brother got it from !!! Ok, still looks cool, but less than favourable in the reliability dept. Kind of like an Chrysler* engine in a Ferrari, eh? Hmmm- I remember a mechanical metal adding/subtracting device that worked with a stylus (1964?) also a Digi-Comp Computer (1967?) [plastic shuttles and programmable with plastic tubes] ; also my Dad's slide rule ; and in high school a terminal that connected to something and then a C-64 bought from Toys R Us for $99 with a coupon! So I hafta say the Digi-Comp is the first machine that counts a computer. Oh I forgot the Think-A-Tron toy that used punch cards and could answer multiple choice questions! At least it *looked* like a computer with light bubbles to display an answer. Johnny Doe wrote: . .. a mechanical metal adding/subtracting device that worked with a stylus . . . I remember them too; I think I had one myself. also my Dad's slide rule . . . I had to buy my own slide rule; I still have it fifty years later. I remember an article under “History of Science” about slide rules in Scientific American about fifteen years ago. Bear Bibeault wrote: In that case, a VT52 hooked up to a remote VAX-11/780 by acoustic coupler. 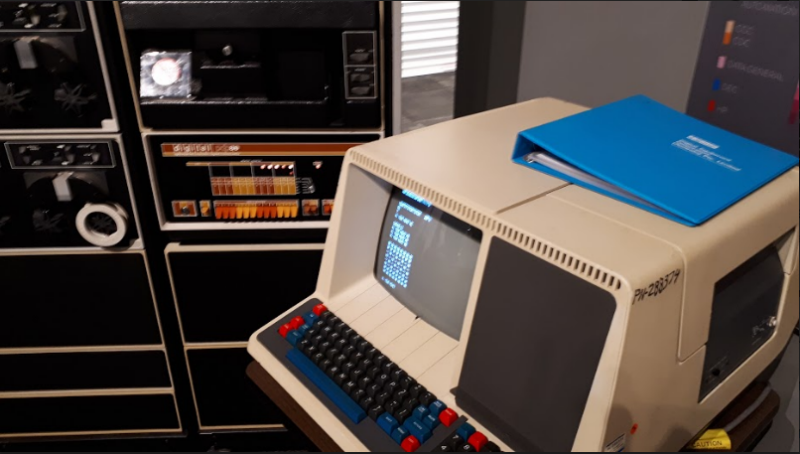 I had the opportunity to play chess against a PDP/8e using one of those terminals at the Living Computer Museum in Seattle a few weeks back - a great hands-on place with computers and related equipment going back to the early 60's. TI-59 webpage, end of the 70's. 320 programming steps, 80 memories. I used it for work. 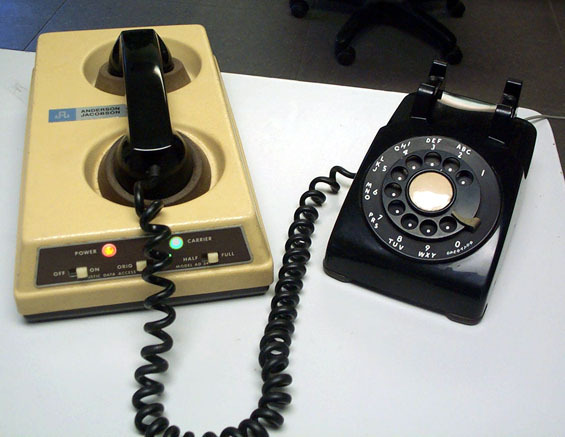 Back in the day it was a Radio Shack Color Computer, the old gray case with the black square buttons for keys, it had an RF modulator on the output so you could plug it into your TV or you could bypass it and use a composite monitor. 16K (I piggy backed another 16 so mine had 32K) was the whopping amount of ram and it ran on MS DOS precursor and BASIC all ROM based. 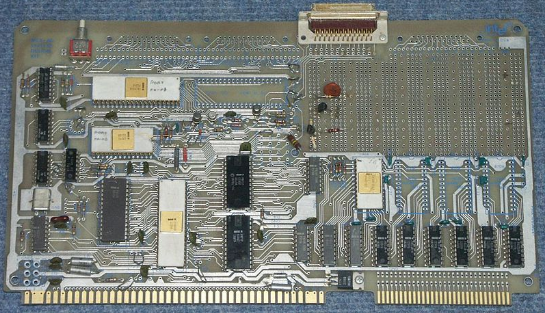 It was a 6809E CPU from Motorola running at 0.89 MHz. I soon found that it was so mind numbingly slow that I took up assembler, and programmed in assembler and basic until I want off to college. I derived 3 years of college in my spare time using that little machine, so when I got to college all I had to do was learn the names of most of the methods that I had derived at home in my spare time. 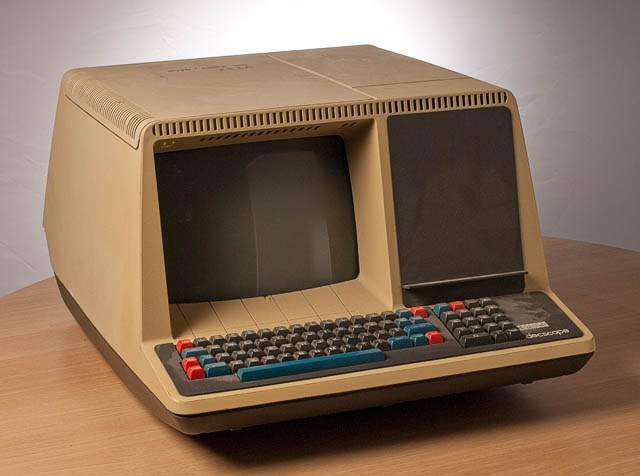 My first computer was a Tandy CoCo II with dual floppy drives, tape drive, cartridges and a 300baud acoustic modem. Like Mano Ag, my first computer was a Timex/Sinclair 1000. It was also the first computer I repaired myself. The some of the keys on the keyboard were not working out of the box. Took it apart and found the plastic ribbon cable was cracked. Snipped off the cracked portion and reinserted the ribbon into the main board, I now had a working computer! Spectrum 48K with rubber keys. Wrote nasty BASIC code along with playing Atic Attack / Way Of The Exploding Fist and others. Still write nasty code, but not in BASIC! Pffffft. Back in my day our computers only had one bit! The Franklin Ace 1000, a clone of the Apple II Plus. On which, I used to play the original Prince of Persia. Of course, I played it in monochrome amber. Configuration of your first home PC.